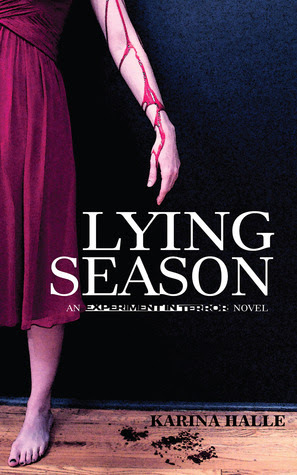 The fourth installment of the Experiment in Terror series, Lying Season is a great read! And so far, it is the scariest book in the series. Lying Season takes place in Seattle, as Perry and Dex investigate an abandoned wing of an asylum that used to house the most dangerous of the criminally insane. Although the asylum is still operational, and Perry and Dex have been given approval to explore its creepiest, secluded nooks, no one is there to assist when things take a weird and dangerous turn, bringing to the forefront the magnitude of real world dangers Perry and Dex are tampering with. To add to the dark forces of the book, there are evil entities seeking out a new place to call home. Perry is confronted with her growing attraction to Dex, while dealing with Dex's beautiful, but meddlesome and suspicious girlfriend, Jen. Lies, misunderstandings, and loyalties are called into question in this book. And although there are plenty of disturbing turns, it is a great story filled with action, allure, and seduction.